The 2018 Michael Smith Ethics Case Competition addressed the National Football League’s response to Chronic Traumatic Encephalopathy (CTE). Thirteen teams of four students competed in the semi-final round on Wednesday, January 31, in the Ryan Center. Twelve alumni and faculty judges evaluated 15-minute student presentations followed by a brief question and answer session. They selected the four teams that advanced to the final round of the competition, held on Saturday, February 3. 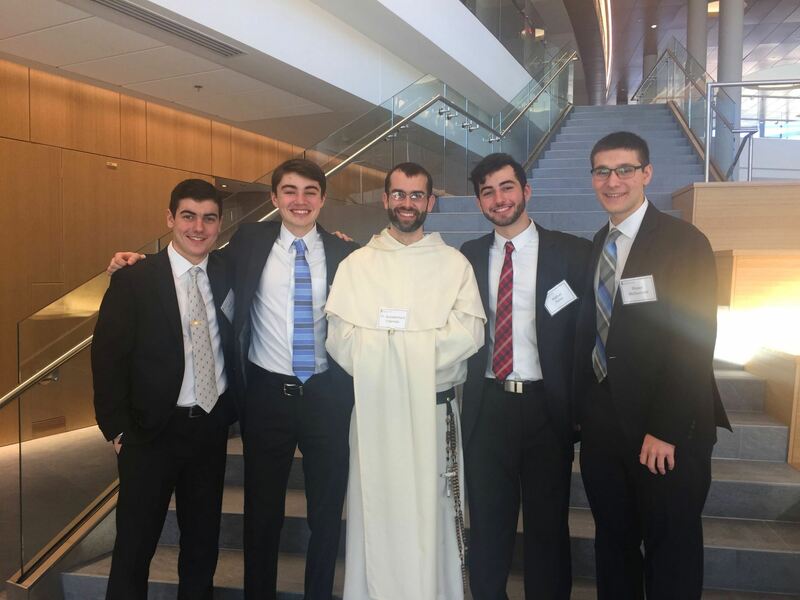 Providence College Senior Vice President/Chief Financial Officer John Sweeney, Philosophy Professor Timothy Mahoney, and Providence College Team Physician Dr. Mark Rosenberg served as judges for the final round of the competition. The following were the winning teams. 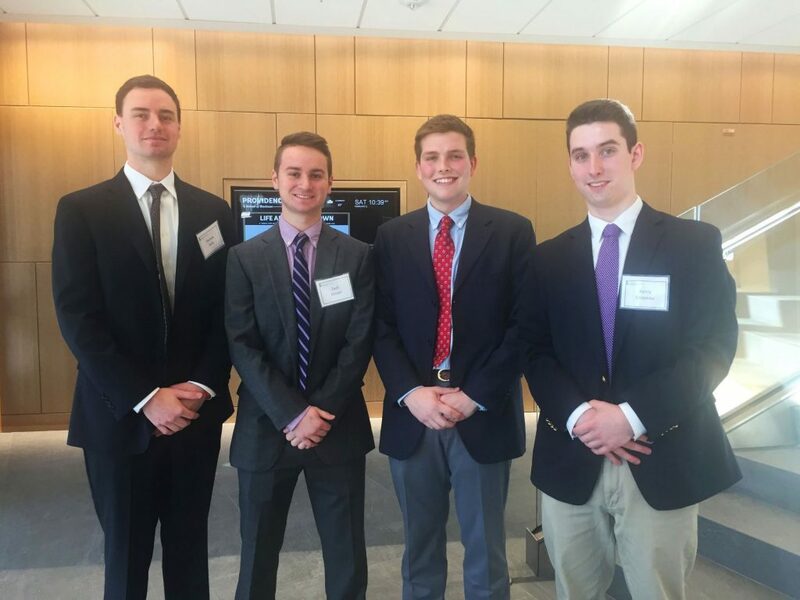 All Providence College undergraduate students were eligible for this case competition. Teams were comprised of four members. Each team identified a captain, and the competition was limited to 20 teams that were registered on a first come, first served basis. There were 13 teams in total that competed. Teams were permitted and encouraged to select a faculty advisor, who provided feedback as they developed their case presentation. Team registration opened on Wednesday, November 1, and the deadline to register was Friday, January 12. The case was distributed at 9 a.m. on Friday, January 19. The semifinal round of student presentations took place from 5 p.m. to 10 p.m. on Wednesday, January 31. The semifinal round consisted of a 15-minute PowerPoint presentation with cited information sources, followed by five minutes of questions from a panel of faculty and alumni judges. All team members were required to participate in the team presentation. Based on judge evaluations of team performance, four teams advanced to the Final Round. Final round presentations were held on Saturday, February 3, with the similar rules as for the semifinal round, except for a longer question and answer period (a 15-minute PowerPoint presentation, followed by 10 minutes of questions from the judges). After the champion was crowned, all of the final round teams were invited to attend the Friars Basketball game against Georgetown on Tuesday, February 6. Submissions were evaluated on the creativity, practicality, and persuasiveness of the recommendations. The first place team earned $2,000, to be shared evenly among the team of four students. If possible, the team will also represent the college in the Annual Collegiate Ethics Case Competition at the Eller College of Management, The University of Arizona, scheduled for Fall 2018. The second place team earned $1,000, to be shared evenly among the team of four students. 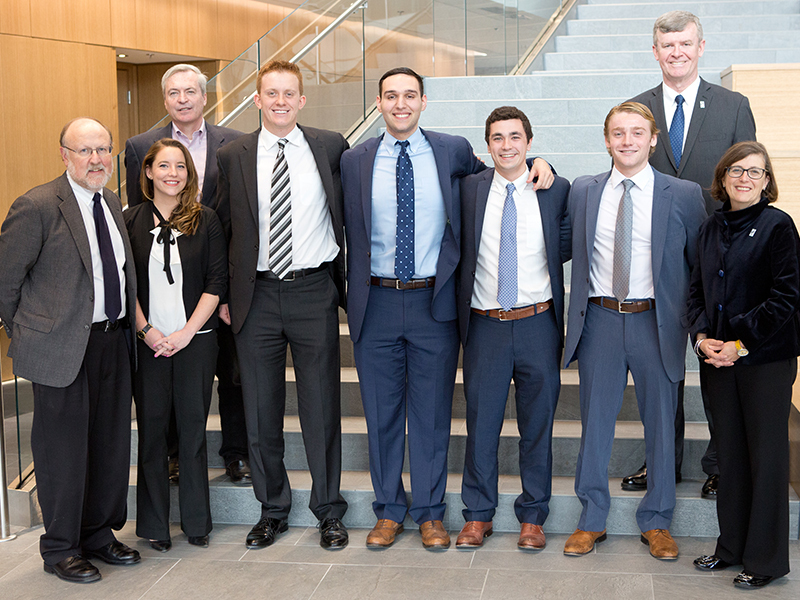 The 2017 Michael Smith Ethics Case Competition, held at Providence College, addressed the ethical issues associated with driverless automobiles. Nineteen teams of four students competed in the semi-final round on Thursday, February 16, in the Ryan Center. Twelve judges from six academic departments, student affairs, and Fidelity Investments evaluated 15-minute student presentations and decided on the four teams that advanced to the final round of the competition, held on Saturday, February 25. Dean Sylvia Maxfield, Philosophy Professor Timothy Mahoney, and Elizabeth Jennes ’14 served as judges for the final round of the competition. The first place team was awarded $2,000 and the second place team was awarded $1,000. All of the finalist teams attended the Men’s Basketball game vs Marquette University (a Friar Win!) after the competition finals on February 25.